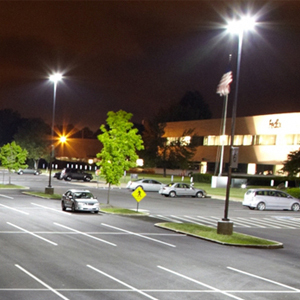 Exterior Lighting: 3 Important Roles it Plays For Your Building - Darmax Inc. In this article we’ll cover the 4 main types of lighting, their purpose, and potential impact on your operating budget. All types of lighting play a key role in the healthy functioning of your commercial property and require diligence to maintain. You can think of these roles as: Security, Information, and Invitation. Lighting plays a key role in the safety and security of your property, your tenants, and their patrons. Of course proper lighting such as canopy lights and wall sconces ensure walkways are clearly navigable, they also play a bigger role of deterring vandals and other criminal acts. Imagine what your tenant may face if they are required to take the garbage out the back of the building late at night in a poorly lit area. They wouldn’t have a very good sense of security would they? In fact they may have to do this one person task in pairs which isn’t a practical way to use staff. While health and safety protocols for staff are your tenant’s responsibility, it is your obligation to provide as safe an environment as possible for everyone. Wall packs on timers or light sensors are great solutions for security lighting; canopy lights and light standards work well for navigation. Informational lighting includes the obvious pylon and storefront lighting as well as the not-so-obvious emergency exit and directional signage. You may be wondering why the pylon and storefront signs are so important; aren’t they just for looks? Let’s put it this way, if customers don’t know your tenant is there, your tenant won’t be there for long! Therefore it’s in your best interest to keep these signs fully lit and/or inform your tenants when you see their lights out. We’ve seen it all when it comes to emergency exit lighting! We’ve even seen an emergency exit sign hung, with no power source and it was stuffed with paper. We’re still not sure what that was supposed to accomplish. Naturally battery back-up units can fail; the key is to have these units tested regularly to decrease the likelihood of failures. A well-lit, well cared for property is an invitation to tenants and patrons. It gives them the sense that they can safely and comfortably conduct business there. On the other hand, a poorly lit property is an open invitation to liability claims and increased maintenance costs as you pay for cleaning up dumped items, graffiti, and other possible property damage. The choice seems fairly easy if you look at these two options! So, it seems that the incremental cost of regular lighting inspections and maintenance could actually save your operating budget, not to mention insurance and legal fees. Another major factor that will affect your budget is the age and quality of the fixtures. We’ve had clients who had the most economical lighting installed on their building but discovered that replacement bulbs and parts for repair were costly and difficult to find. Considering the cost of specialty bulbs or an electrician’s time for repairs or replacement did our client really save money? Not likely. The exterior lighting on your building may seem like a small consideration in the grand scheme of your operating budget but when it doesn’t work properly, it can be a big headache. We suggest that you have your lighting checked and maintained at least quarterly. Like most aspects of property maintenance, being proactive is simply the smart thing to do.